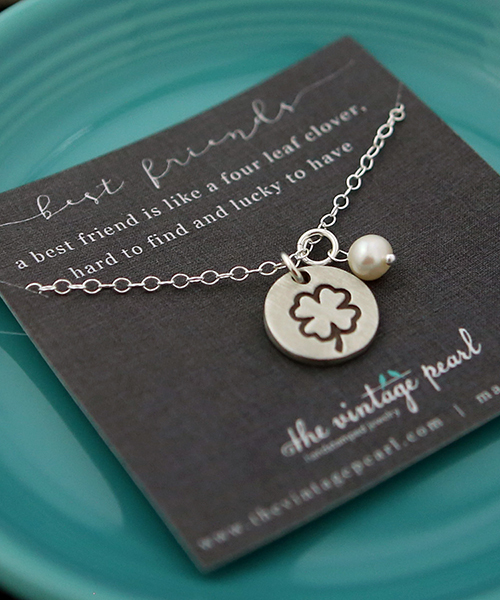 Our new “clover charm necklace” is a great gift for your best friend! 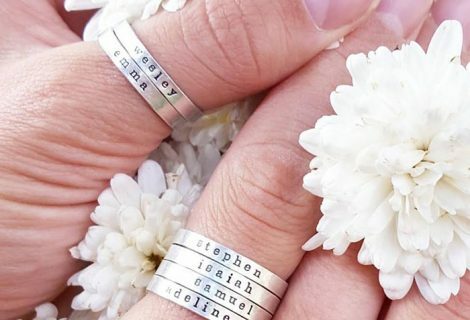 they are our four leaf clovers! 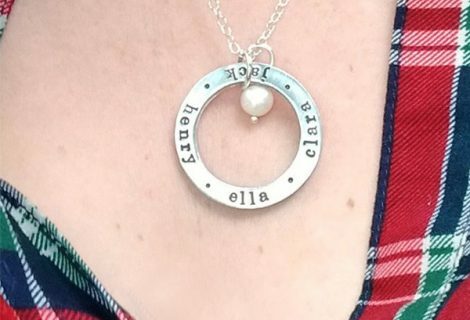 This simple and sweet charm necklace is hand stamped and handcrafted in fine pewter, and then hung on your choice of chain. 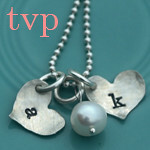 ready to gift to your BFF. 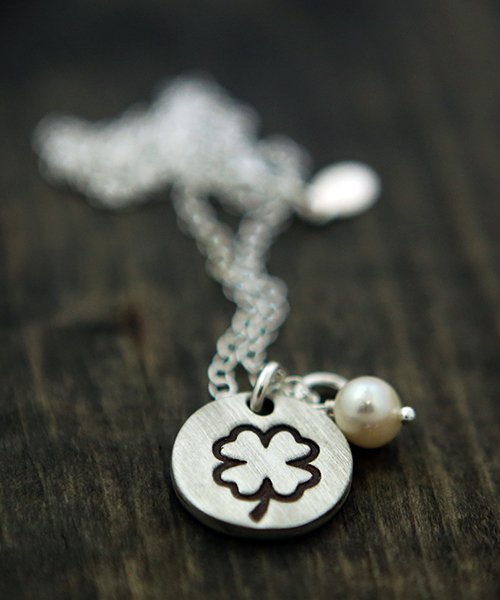 Shop our 4 leaf clover charm necklace NOW!